Everyone loves Bob Marley. You’ll love him even more with these easy ‘ukulele chords for One Love. This hit song is a great piece for beginners and those looking for an intro to the reggae style. 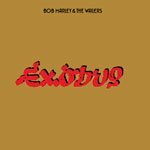 One Love/People Get Ready was first released on Bob’s fantastic album, Exodus. The ‘ukulele chords for One Love are very simple, but the reggae strum is a challenge if you haven’t spent time with it before. You always play on the 2 & 4 – leave a space on the 1! This is where the rest of the band and usually the melody goes! If you play the strum feeling it on the 1 & 3, you’re not doing it right. 2 & 4, 2 & 4… Check out the link above for a whole lesson on this strumming style. Here’s some inspiration for the rhythms and stylings of reggae. Not quite this song, but the guy is crazy! This version is in the key of C, but the original recording is in Bb so if you want to play along using the tab you need to tune your ‘ukulele down a whole step to F Bb D G or shift the chords.